The big picture: Amazon has officially entered the premium home speaker market, one that is largely dominated by Sonos but also has seen Google and Apple step up to the plate as of late. Will Amazon's solution be able to compete? That'll largely depend on the audio quality and for that, we'll have to wait and see how the sub performs in symphony with its Echo satellites. Amazon on Thursday unveiled a smattering of new hardware including an Alexa-enabled microwave, a wall clock and a smart plug. 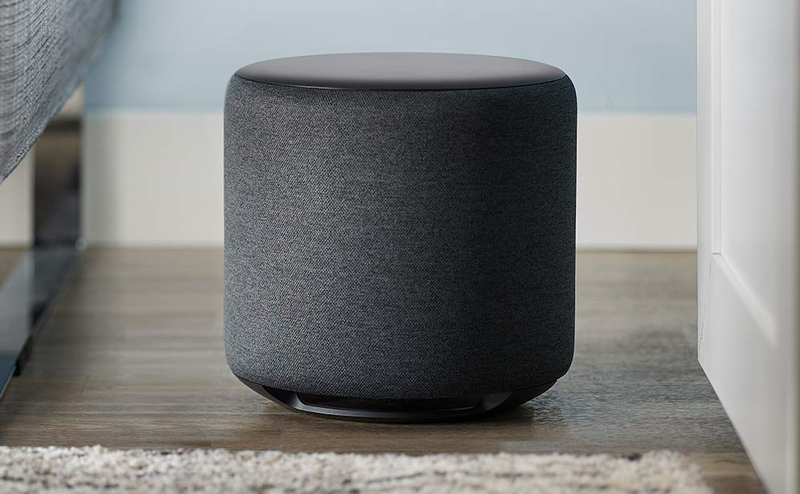 Perhaps the intriguing of all, however, is the new Amazon Echo Sub as it signifies Amazon’s intent to take on names like Sonos in the premium home audio space. The wireless Amazon Echo Sub is meant to pair with either a single Echo or Echo Plus speaker (or two to create a true 2.1 audio solution). It features a 100W, six-inch downward firing woofer that’ll introduce a new level of depth to your Echo sound system. Paired devices must be of the same type. Amazon on its product page says the Echo Sub is currently only compatible with 2nd generation Echo and Echo Plus devices. Furthermore, it only supports music playback for now. The sub measures 8.0” x 8.3” and tips the scales at 9.3 pounds. It has a low frequency response of 30Hz (-6dB), maximum acoustic output of 103dB @1M ground plane and a 120Hz - 150Hz adaptive low-pass filter. The Amazon Echo Sub is available to pre-order from today priced at $129.99. You can also pick it up as part of an Echo 2.1 stereo bundle in your choice of colors for $249.97. Look for it to ship on October 11.